Something of a fuss seems to have been made in the tech media in the last day or two after a Microsoft FAQ and a prominent tweet - they do like a good 'Windows Phone is dead' story, as we know, and I wanted to put the FAQ and tweet into perspective. 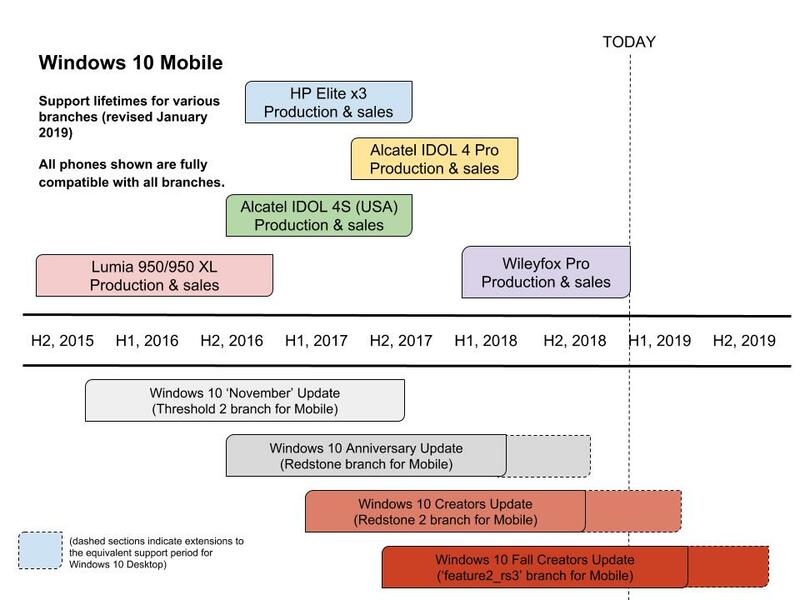 In short, if you're an enthusiast still using Windows 10 Mobile right now, early 2019, then there's every reason you can do so in 2020, with only a couple of caveats heading into 2021. So there we go. Nothing new to see in terms of timescales at least, back to your homes, etc. Tero was responding to Microsoft's published FAQ here on the EOS (End Of Support), and there are some subtleties from this mentioned below. 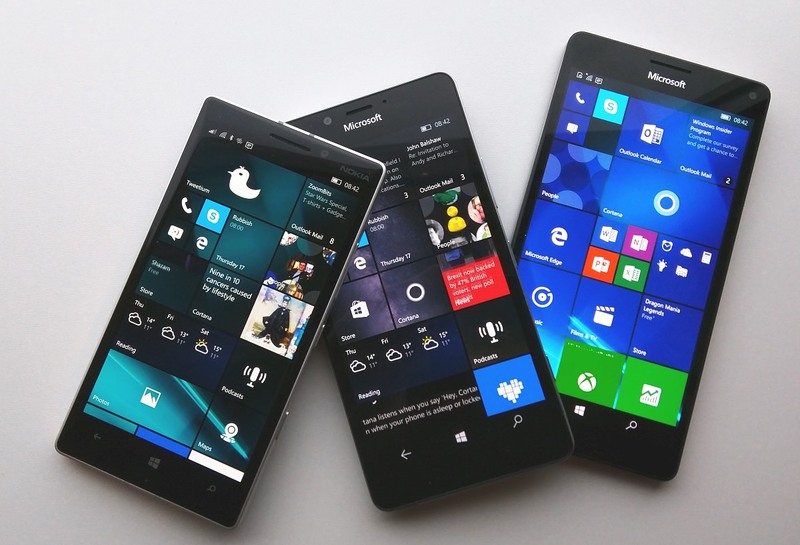 Firstly, nothing will really change between now and the end of the year (2019) in terms of third party services and Windows 10 Mobile compatibility. We've already hit 'rock bottom' arguably, in terms of having to access many things through web sites and 'web wrapper' first party applications or PWAs. And these will carry on working for years to come. Ditto things that rely on standard protocols, so Outlook Mail and Calendar, using IMAP, POP3, Exchange protocols to link through to all your various mailboxes and PIM accounts. Those things just can't be turned off, so you'll be fine. Third party applications, typically UWP for all Windows 10, are likely to be around for quite a while too, if only because they also work on the Desktop, Xbox etc. And there are many more decent UWP apps for Windows 10 Mobile than most people think, see our extensive app directory. In short, if you're making Windows 10 Mobile work in your life right now (so the usual: enjoying the interface, live tiles, multitasking, UWP apps, etc.) then you'll be fine through the tweeted deadline and on through 2020, potentially. And maybe beyond that. And what of the lack of official support from Microsoft after December 2019 in terms of monthly OS updates? This will have almost zero impact because we haven't had any new features in these updates for a year now, while security vulnerability fixes are increasingly affecting the newer branches of Windows 10, for Desktop, Xbox, etc. By the end of 2019, any vulnerabilities in Windows 10 Mobile's 1709 branch will have long been excised. And even if something does get found by some researcher, the increasingly low market share of Windows 10 Mobile means that there simply aren't any 'bad guys' out there targetting the platform, writing malware that might take advantage of such an (unlikely in the first place) vulnerability. My main worry beyond the end of 2019 is that Microsoft may take their eyes off the Microsoft Store and that issuing third party UWP application updates and (in the event of rebuilding a phone after a hard reset) re-installing favourite applications might be affected. But that's just a worry - the Windows Phone 8.1 Store still works fine, after all, and it may be 2022 or beyond before the Store starts to break for Windows 10 Mobile users. Now there is some genuinely new information included in the MS FAQ - a couple of services do have actual published deadlines. From the article: "After the end of support, automatic or manual creation of new device backups for settings and some applications will continue for 3 months, ending March 10, 2020. Some services including photo uploads and restoring a device from an existing device backup may continue to work for up to another 12 months from end of support." So that takes us to the end of 2020 if you're reliant on auto-photo uploading, though you can always use the OneDrive UWP app at any point after that to upload images manually. The phasing out of auto-backups isn't that relevant in the enthusiast world, I contend, since anyone reading this article would likely relish the challenge of rebuilding a phone's apps from scratch and generally 'having a spring clean'. Plus you can always backup manually within Settings, it's only a couple of taps. I guess if you were trying, mid 2021, so two and a half years from now, to do a hard reset and immediate restore, possibly to fix something under the hood that wasn't working, then you might be a bit miffed that the server-side backups had been removed. But that's a long, long way away. Mind you, I'm a little disconcerted by Microsoft's use of the word 'may' several times in its FAQ - that seems an unnecessarily ambiguous word to use in what's supposed to be a clarifying document! 2. "328 days to upgrade to iOS"
This was from the quoted tweet above. Quite apart from the implied deadline, which I hopefully largely disproved, in point 1 above, I object to the implication that the natural path from Windows 10 Mobile is to the iPhone and iOS. Quite apart from the fact that iOS is the underdog in the smartphone world in 2019, with 15% share worldwide (though around 50% in the USA and UK, being more affluent nations), its walled in nature goes against many of the attributes of Windows 10. iOS has no user accessible file system, you can't just start plugging in any old USB accessories and disks its multitasking is 'quirky' to say the least, its core user interface is a decade old and very 'static' (especially if you're used to live tiles) plus the choice of hardware to run it on is very limited, only coming from one manufacturer. In contrast, Android seems (to me, at least) the far better choice. Multitasking can be as open as you need it to be, its USB system is completely open in terms of what you plug in, you can fiddle with its files, modules and even UI as much as you like, and the range of hardware to pick from is almost infinite, in terms of size, pricing and even form factor. Heck, you can even use an Android phone as a 'Microsoft device', with suitable first party launcher and applications. And I know all this because I've been using Android for one of my two main SIM cards for the last two years (running in parallel with a Lumia or IDOL 4 Pro). (PS. I covered the best Android handsets to consider here, nine months ago, and yes, it's out of date now, so I'll update this piece in due course in 2019. In summary, then, don't panic. If you've made it this far then then you have much longer than '328 days' to enjoy Windows 10 Mobile in normal use. And when the time comes to finally switch to another platform then there's a lot more choice out there than simply following the herd and buying an 'iPhone'.